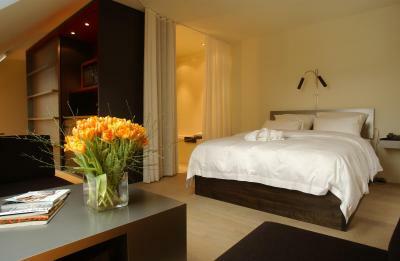 Lock in a great price for Sorell Hotel Rigiblick Zürich – rated 8.8 by recent guests! Luxurious and spacious. Excellent breakfast and dinner. Amazing stay. Spacious for a family of four. Excellent service and the food was delicious. The view was phenomenal. We loved our stay there! Lovely location outside of the city. Amazing views and room was better than expected. Staff were friendly and helpful. The idea of decoration in our room. All nessessory &convenience equipments are provided and ready to use. The staff was helpful. 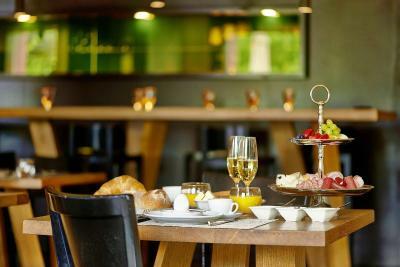 Kindly staff/big & clean room/ nice breakfast. nice place for leisure if you have a car. 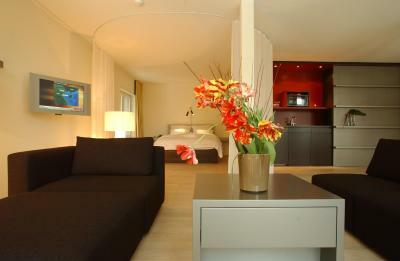 Huge rooms, friendly staff and superb location with views across Zurich to the alps. Close to the city centre but very peaceful and relaxing. 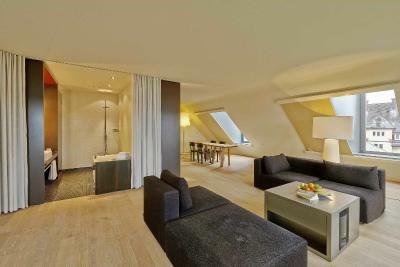 Sorell Hotel Rigiblick Zürich This rating is a reflection of how the property compares to the industry standard when it comes to price, facilities and services available. It's based on a self-evaluation by the property. Use this rating to help choose your stay! 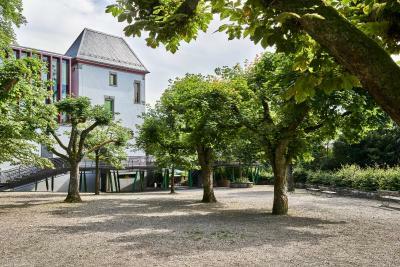 The Sorell Hotel Rigiblick is well connected by public transport. The journey to Zurich's city center and to the main train station by the Rigibahn railway or the tram takes only a few minutes. 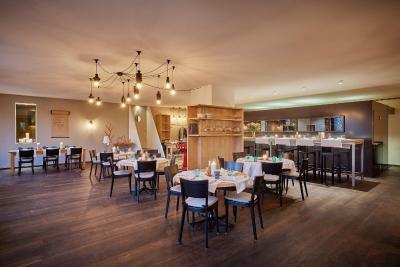 Guests can enjoy the cuisine of the rewarded Swiss Chef Vreni Giger at the hotel's restaurant and bistro. 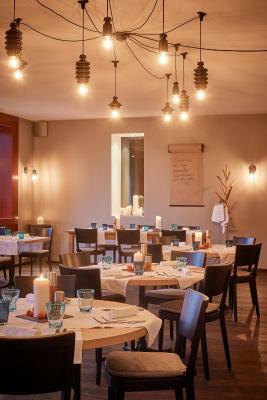 She was awarded with 17 Gault Millau points and in her cuisine she uses fresh products from local suppliers and creates traditional dishes with a modern touch. 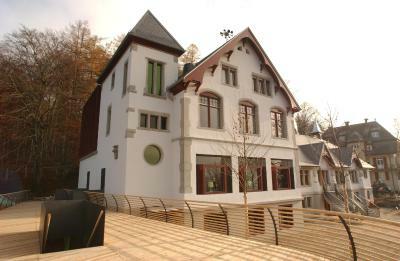 Oberstrass is a great choice for travelers interested in convenient public transportation, cleanliness and culture. 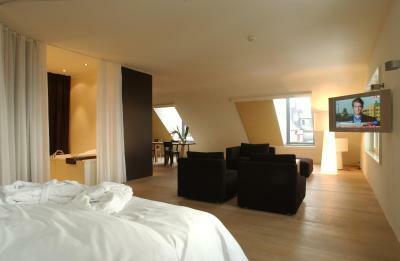 When would you like to stay at Sorell Hotel Rigiblick Zürich? 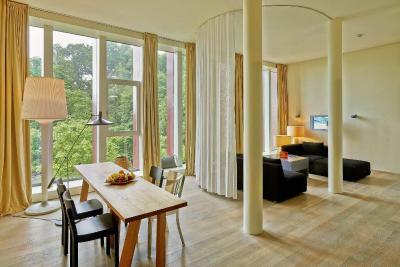 This apartment enjoys a quiet location and forest views. It comes with a fully equipped kitchenette, an open-plan bathroom with a bath and a shower, a living area with a sofa, a desk and a dining table and 4 chairs. 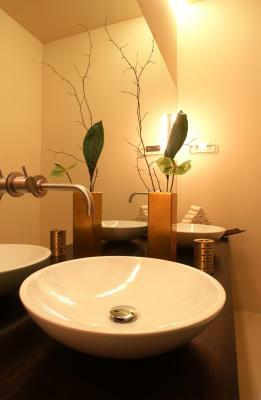 Additional amenities include a mini-bar, a TV, a DVD player and free WiFi. This air-conditioned apartment enjoys a quiet location and forest views. 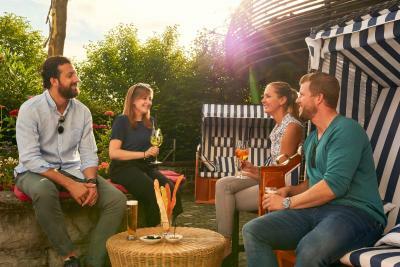 It comes with a fully equipped kitchenette, an open-plan bathroom with a bath and a shower, a living area with a sofa, a desk and a dining table and 4 chairs. 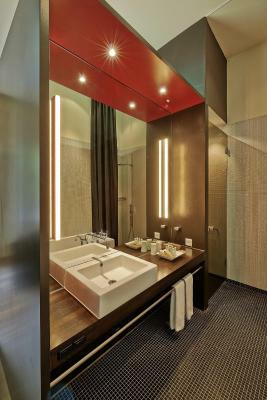 Additional amenities include a mini-bar, a TV, a DVD player and free WiFi. This spacious apartment offers panoramic views, a fully equipped kitchenette, a living area with a sofa, a desk and a dining table with 4 chairs and an open-plan bathroom with a bath and a shower. Additional amenities include a mini-bar, a TV, a DVD player and free WiFi. 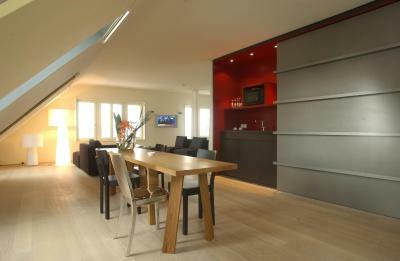 Large, air-conditioned and quiet apartment with city views and a fully equipped kitchen. It has a living area with a sofa, a desk and a dining table with 4 chairs. 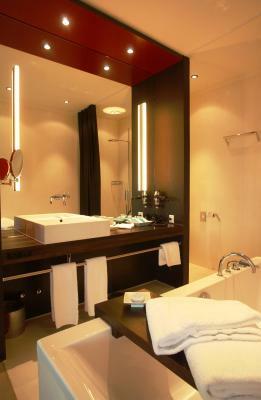 The open-plan bathroom comes with a bath and a shower. 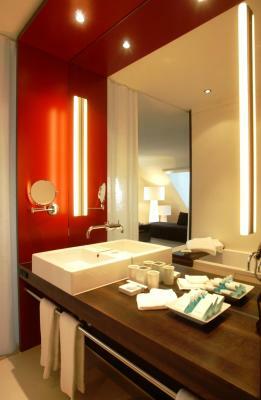 Additional amenities include a mini-bar, a TV, a DVD player and free WiFi. Hotel surroundings – This neighborhood is a great choice for travelers interested in convenient public transportation, cleanliness and culture – Check location Great location - show map Guests loved walking around the neighborhood! 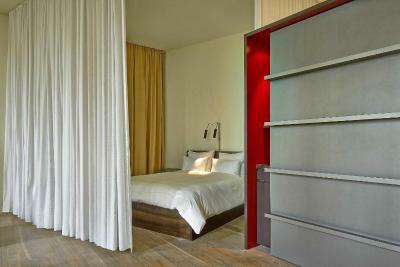 House Rules Sorell Hotel Rigiblick Zürich takes special requests – add in the next step! One older child or adult is charged CHF 50 per person per night when using existing beds. 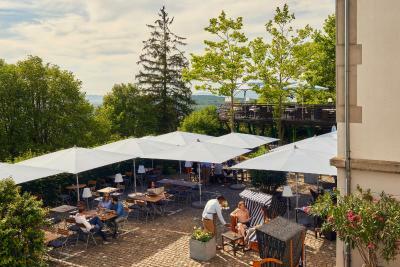 Sorell Hotel Rigiblick Zürich accepts these cards and reserves the right to temporarily hold an amount prior to arrival. Please note that reception is not open on Sundays and Mondays. If you arrive on one of these days, please inform the hotel about the exact time of your arrival. Breakfast was great. 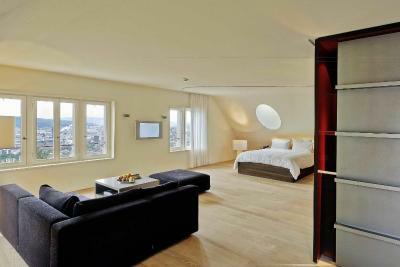 Interesting layout in rooms. Lacked staff at reception, and keys are very bulky to keep hold of. 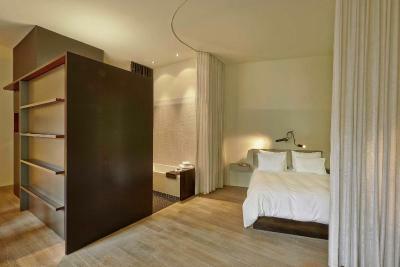 Rooms are nice and big, and full of amenities. The road in is under construction. Single track, be careful. Amazing breakfast and lovely service. Such a friendly welcome from all the staff. We traveled as a group of family members, friends and collegues with children. One person was in a wheelchair = without problems as in the room as in the hotel in generally. The rooms are incredible generous. There is nothing missing. The staff members are perfect and let you feel like a real host! The two restaurants are excellent. The environment is wonderful. With a cablecar you arrive at the tram station. You are quick in the middle of the city. The parking (garage) is perfect: we had two 9-seater-busses in use. The breakfast buffet is perfect! 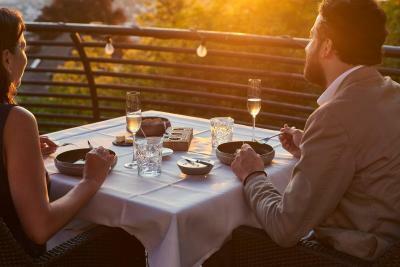 Excellent rooms with everything, a lot of space, a perfect kitchenette, incredible view (over Zurich or into the green), very attentive, amiable stuff people, waiters and room service persons. The hotel is very quite but easy to get into the city. So: it's quite, but close enough to shops and the centre of Zurich! Very perfect! 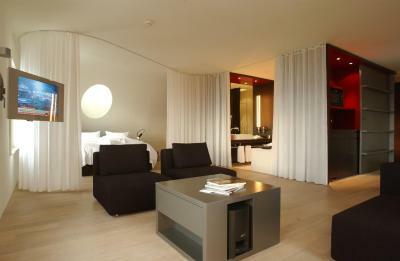 I ordered five rooms there - the management was very flexible and helped a lot to get the best service! There is parking in a garage - easy to use and for free! 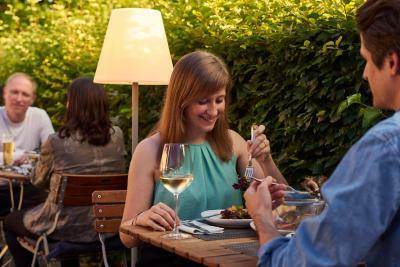 In the house are two restaurants (that doesn't have a negative impact to the hotel rooms. 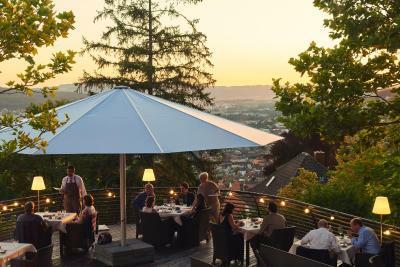 One is one of the top restaurants in Zurich and Switzerland (okay...you pay for) and one is a likable good restaurant with perfect service as well and very good menu. A little confusing to figure out where reception is. Some parts of the room need replacing or fixing, but for one night this was a very minor nuisance.